Filtering, sorting, and exporting cases by date range makes it easier to view recent cases, export cases for the quarter, or create a report on annual cases. 1) On the home screen, click Filter in the Cases Hub. A new window will pop-open that shows you your filter options for Cases. 2) In the Filter window, click the start and end date. 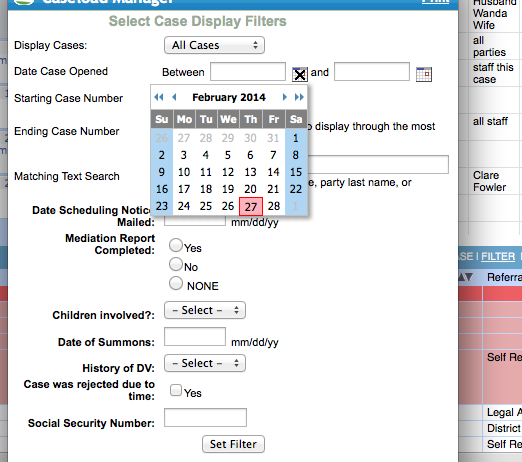 Your Cases Hub will now display cases filtered by the date that the case was opened.